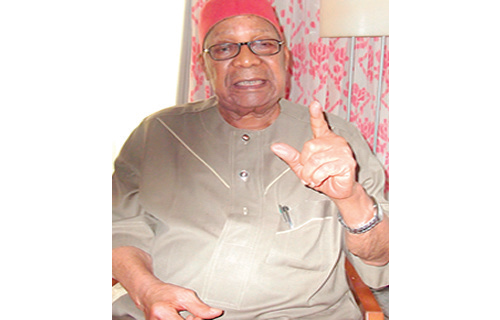 Chief Mbazulike Amaechi is First Republic Minister of Aviation, an elder statesman and one of the three surviving foremost nationalists in Nigeria today. There has been increasing clamour for restructuring of the country in recent times. But the Chairman of Northern Elders Council, Alhaji Tanko Yakassai has warned the Igbos against falling for what he called the Yoruba bait for restructuring, saying that was how the Yoruba tricked the Igbos into civil war. What is your take on restructuring? Let me say I have read the comments or statements of Alhaji Tanko Yakassai. I want it to be clear, Tanko is a very, very close friend of mine and we share similar views on major political issues in Nigeria. This has been from before independence when he was a leading figure in the Northern Elements Progressives Union (NEPU), and I was a prominent figure also in the National Convention for Nigerian Citizens (NCNC). Since then we have been close friends and comrades. His statement that I read in the paper about what Chief Obafemi Awolowo did before the commencement of the secession and the following civil war, Biafra, is correct. It was a betrayal because in his (Awo’s) private discussions with (Chukwuemeka Odumegwu) Ojukwu, he encouraged Ojukwu to secede and made it public that immediately Biafra seceded, Yoruba land would follow. Well, I wouldn’t know what he reported to (Yakubu) Gowon who sent him to meet Ojukwu at Onitsha, but it would appear that what he reported to Gowon was that ‘if Biafra was allowed to secede, then Yoruba would also secede’; which means that everything must be done to stop Biafra seceding. It is quite a different thing from saying immediately you go, we will follow. That was a double talk and a betrayal. Be that as it may, in Nigerian politics, the Igbos and the North had on major democratic dispensations worked together. In the First Republic, the NCNC of Dr. (Nnamdi) Azikiwe worked in a coalition government with the Northern Peoples Congress (NPC) of Sardauna of Sokoto. This working together was peaceful until 1964 when a faction of the Action Group lead by Akintola opted to go and work with the Sardauna of Sokoto in displacement of the NCNC. And it appeared that Sardauna welcomed the idea, the crisis that followed Awolowo’s imprisonment and the crisis in the Western House of Assembly and ‘Operation Wetie’ incident in the West led to a major split and crisis. Eventually, the military took over the government of the country. And the North and the West joined together to fight the East. 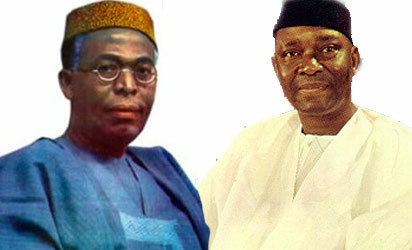 Again, in 1979, the National Party of Nigeria (NPN) formed an alliance with the Nigeria Peoples Party (NPP). NPP was lead by Zik and controlled the Igbo states and Plateau and there was peace in the country until 1983 when NPP decided to go into what they called the ‘Progressives Alliance’ with Awolowo, Waziri Ibrahim and Balarabe Musa. Again jettisoning the NPN, there was trouble in the country and the military stepped in again in 1983. Today, it is the Yorubas and the North. When we were in the NCNC, in the First Republic, even though we were in alliance with the North, we did not deny Yorubaland what was due to them. They had their ministers, they had all the appointments due them and the economy was managed equitably. That is the difference now. The difference now is that we have Yoruba- Northern government, the idea now is to make Igbo a slave part of the country and this is totally unacceptable to Ndigbo. The younger elements can no longer tolerate the situation where they are said to belong to a country but the country does not recognise them as full citizens of that country. Then on the restructuring of the country…? Talking about restructuring, I don’t think my friend Yakassai got it right. The idea of restructuring was as a result of agitation that there should be a renegotiation of the basis of the federation, because of imbalances, inequities and injustices noticed. The past last government of Goodluck Jonathan arranged a national conference; I wasn’t a member of the national conference, Ohanaeze put up my name and Mrs. Azikiwe’s name. I heard Ohanaeze President told us that the governor of Anambra State deleted my name and Mrs. Azikiwe’s name from the list of delegates to the conference. Whether it was true or not, I wasn’t there, but the conference decided that Nigeria should be restructured and they made some specific recommendations. The North had appropriate representatives at the conference presided over by a northerner. So to say that restructuring is a demand of the Yorubas and that they are inciting the Igbos to follow suit is not a true statement. I think Yakassai got the sequence and the position a little mixed up here. The true position now is that even if the conference did not recommend restructuring, every patriotic Nigerian, every sensible Nigerian, every objective Nigerian should know that this country is crumbling; that there is no more that mutual confidence that makes us a family in the country. The South-East is totally neglected, ignored and is being treated as the slave part of the country. The South-South is suffering crisis; you have the Avengers crisis; you have the MEND crisis, you have the militant crisis there. And these crises, the organisers have some specific demands, then the whole demands, all hinge and border on the fact that there is improper amalgamation or improper arrangement of the basis of the federation of the country. If the government of the country decides to ignore what is going on in the South- South and the South East and chose to go ahead that it doesn’t matter, I don’t think it’s a proper way a government should look at the situation. There is real danger in this country and people must accept it, the government must come down to dialogue. The word is dialogue. What is required, what is important now is for people to talk; government should not say ‘we are government, we are not going to talk to anybody, we will oppress you; we will suppress you with the force of military and so forth’, It won’t work. It would lead to loss of lives and destruction of things. Look at the destruction going on in the Niger Delta area now. It’s all affecting the economy of the country and government refuses to face and see reality. The reality is that people are not satisfied and the destruction is growing. Talking about the Yorubas and the North, a very substantial part of the Yorubas is not happy. The government of Nigeria now appears to be a government of a particular region ruling the whole country. Look at all the appointments, in the military, in the armed forces, in the civil service, in political appointments. All of them are going to one side of the country and people pretend that all is well. Yes, those Yorubas who are there in the government will receive their salaries, they will give them money and so forth, but the whole country is smoldering, this country is at the edge of a declivity that cannot be controlled. There is need for the government to arrange for people to come together and talk frankly as members of a family, how to correct the errors and how to be one. Are you suggesting another conference? By whatever way, but there is need for people of Nigeria to come together; they will review the report of the last conference. People should review the report of last conference and build something and add something or subtract something and then recommend. Could you look at it this way that the hardship in the country is as a result of recession which appears to be global in the sense that the price of crude oil has slumped and Nigeria is a mono-product economy? Yes there is hardship which is caused by the general decline in the economy of the country and the world. But there is also the crisis of the management of what we have. I was a minister in the government that ran this country for six years when there was no oil. We did not depend on oil, there was no oil in our time but Nigeria was vibrant, the economy was buoyant and everybody was happy until the unpatriotic military intervention in the affairs of government in this country and the military stayed for as long as 38 years. And so, pushing in corruption and stealing, the military government introduced this massive stealing in this country. And the recovery of the stolen property and even the checking of stealing and corruption in the country is not progressive. The government has been in power for one year now, not a single case has been successfully prosecuted in any court of law, including the cases that arose even in Olusegun Obasanjo era, in the Goodluck Jonathan era; many governors who were sent to court for stealing in millions and billions of the wealth of their states are still senators there now. The cases are no longer mentioned. The same thing is about happening now. Could this be why the President has said that the judiciary is the problem of the fight against corruption? I support the President’s statement that the judiciary is not helping the situation, the President is right with that statement. Is it also the duty of Mr. President to send some bills for possible judicial reforms to create special courts for corruption cases as some people have suggested? There are so many cases of corruption, there are so many people involved, and if you set up one special court for that it will still take a longer time. But the present Federal High Courts are spread all over the country; you see we don’t want to set up a parallel judicial system; we can still manage with the present courts in the country. The only thing is that the judges and the lawyers are doing their job; where a case is too bad for their clients they buy time. It is the duty of the judges to stop that in their own courts. A judge should be able to sit down and say no, we are not going to give you this adjournment. But look at all their judgments in the cases, even starting from those of 2009, 2010, and so forth. Let’s digress a little to Ohanaeze Ndigbo. Many people are saying that Igbos are not united and cannot speak with one voice, they are easily divided along party lines unlike the North that will always speak with one voice irrespective of party affiliations. What role do you think Ohanaeze can play to help Igbo come together? You see, Ohanaeze has a problem of leadership. The present leadership of Ohanaeze does not command respect and it is not doing its work. It is said Nemo dat quod non habet, (nobody can give what he doesn’t have). They are doing the best they can but their best is not good enough for the present situation in the country. In our own time, we had the NCNC and the Action Group and the NPC and so forth, but whenever there was an issue of common interest to the whole of Igbo land, we used to come together across party lines and discuss Igbo question. But that is not the situation now. What of the role of the Igbo governors? The Igbo governors are not helping the situation. They don’t see themselves as leaders elected by the various states to lead them; they see themselves as administrators who are to administer a government and wield power. They are not interested in the overall interest of the people; they are only interested in governmental matters and so forth. So they don’t see themselves as leaders of the people. It is the governors who should initiate some actions and if it is a respected leadership of Ohanaeze the governors will oblige. But the leadership of Ohanaeze is defective as at now, that is the problem. What is your advice to leaders at the federal level who appear unconcerned about so many objective criticisms about the way things are going, particularly besides the President, even people like Alhaji Yakassai and the northern elders? Well, I have been in this country, I have been in government, I have been in politics. I’m retired but I’m not apolitical. And in the whole country now, of the people who lead Nigeria in government in the First Republic, only three of us are still remaining. Shehu Shagari, Maitama Sule and myself, only three of us in the whole country. If people don’t want to listen to us, if people don’t want to hear us, to consult us, to seek our views, well they are ignoring us to their peril. But if you look at what is happening in the Niger Delta area, if you come to watch what is happening in Igboland now, if you want to watch what is happening in Borno, Adamawa and North-East area now, and also then you put into it the new army in Nigeria known as the Fulani cattle rearers; who are armed to the teeth with the most sophisticated military weapons Who provides the weapons? Who trained them on how to use the weapons? And why is the government led by a Fulani man keeping silent? What is happening? Is the government aware of what is happening? Is the government encouraging the Fulanis to invade certain Christian areas and kill them? They come and kill and nobody talks! On the part of Igbo leaders and politicians now, I say are they cowardly or are they mercenary or are they naïve? At Onitsha the other day, soldiers opened fire at Nkpor in a church and killed people and when they kill these people they take them away. The traditional Igbo system says that “isi nwonye Igbo adighi ato na mba, isi nwonye Igbo adighi efu efu” (the head of an Igbo man does get lost or missing in Diaspora); but these people kill and take away. They did it at Aba, killed the Igbos there, the young men there, and took their bodies away. And then the Igbo religious leaders, Igbo politicians, Igbo leaders of thought are keeping quiet, they won’t even talk. I’m not asking them to be violent, because violence does not solve any problem, but the President sees all these things and appears not to bother about them. One day the fire might spread so much that he cannot control it again. something must be done, government must control it and not just playing politics by issuing press releases and or appearing that it is a situation where a section of the country has now conquered the whole country and they are now ruling the whole country. That is the impression they are giving now.